The estimated current annual production capacity of fuel ethers (MTBE, ETBE, TAME and TAEE) in Europe is approximately 6 million tonnes, split between almost 70 production plants spread across Europe. The production capacity of the ether plants ranges from 12,000 to over 600,000 tonnes per year and the output is either used within the refinery producing the fuel ether (captive) or is sold on the open market (merchant). 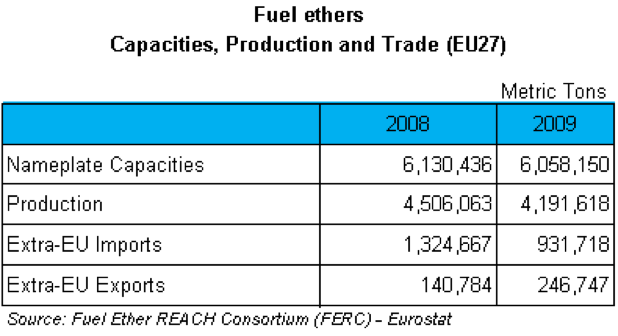 Ether production in 2009 represented about 70% of the total European ether capacity. So there is still growth available to respond to the EU biofuels mandates which requires that by 2020 at least 10 % of the final consumption of energy in transport comes from a renewable source. 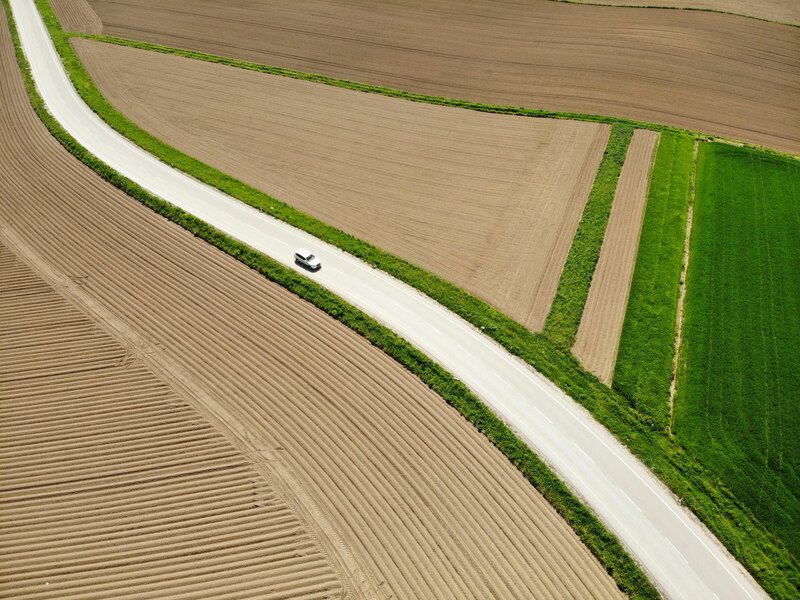 EFOA believes that bio-ethers represent a major opportunity for a practical, swift and efficient development of biofuels both now and for the future. 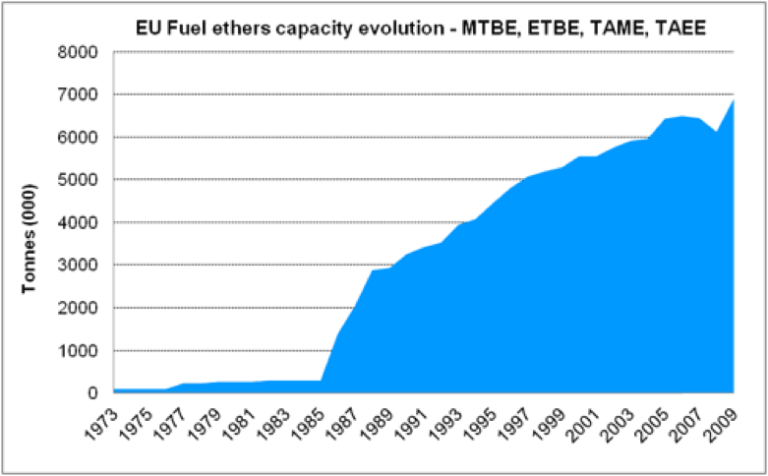 The evolution of fuel ether capacity, represented in the chart below, was initially linked to the growth in the use of unleaded petrol, which started in the USA in the late 1970s after concerns over air quality led to the development of catalytic converters to reduce emissions from vehicles. MTBE with its combination of high octane number and smog reducing performance (VOCs) became the replacement of choice. The EU began the process of lead phase out in the 1980s as it also sought to improve its air quality. Fuel ethers added to petrol allow more complete combustion of the fuel, reducing exhaust emissions and improving air quality. They therefore have an important role to play in contributing to a cleaner environment.